Location: Biddeford, Maine • Date: 9/5/11 • Standard Print (w & h): Image: 40.7" x 40.0"
This image is composed of 23 individual shots taken at 560mm. 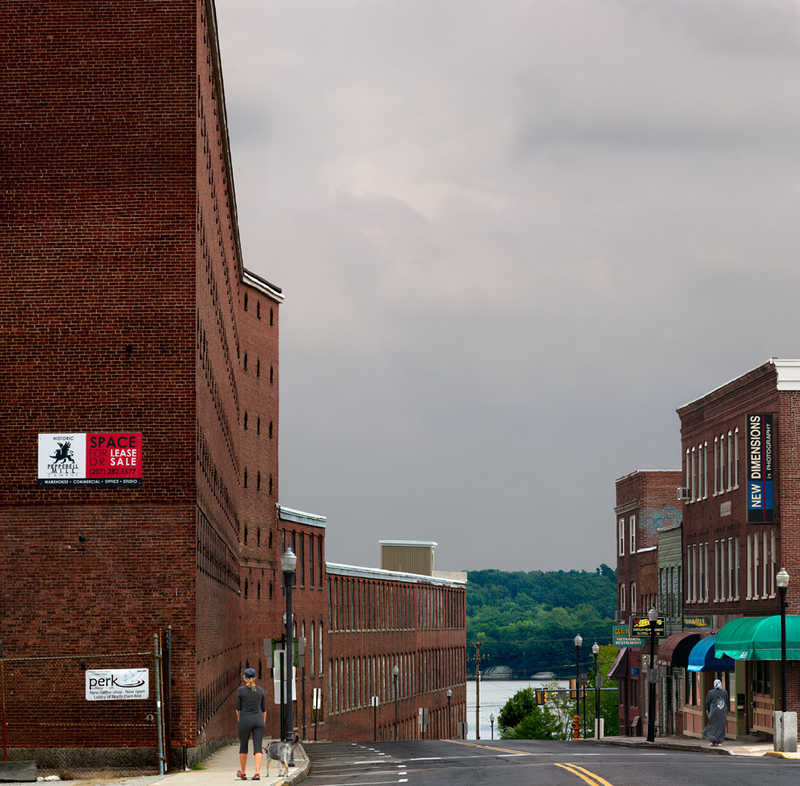 Biddeford is no longer a French Canadian mill town–new people are moving in, and the older inhabitants are slowly but surely disappearing. Water View was included in the Saco Museum, Saco, Maine, Mill-ennial in 2012, and is owned by the museum.